The patriarchal dramas in Pakistan are been produced explicitly reflects the patriarchy, norms, and stereotypes of the Pakistani society. The dramas are widely watched within the country because they are easily relatable and implicate the true image of the society. So if you ‘re still not a die-hard fan of the Pakistani drama industry but wanted to know more about Pakistani society then you should definitely watch them! Below listed are the top 10 Pakistani patriarchal dramas that explicitly implicates the patriarchy of the Pakistani society. The serial has been enormously counted in the top serials of the century. The serial featured Ahsan Khan as the lead actor who sexually abused a little girl due to the man dominant nature in the rural part of the country. The serial implicated how the child abuse is incurred and its harmful implications on the life of the abused. The serial was beautifully directed and was known as the sad serial as it reflected the true Pakistani society. The serial was released in 2017 and ended in 2018 and implicated how a man with power and money made it difficult for the people to live. The serial was beautifully directed with beautiful songs but implicated how a man dominancy with money has destroyed the three lives. The essential message was quite thoughtful which made the serial popular and worth watching! Although this serial is worth watching along with the great story and beautiful songs. But the hidden story of a man who considered his wife as a characterless woman and blamed her for all the troubles. The man dominancy in the serial made the people realize that a man could be wrong as well. The hidden message of the serial was excessively appreciated by the people across the world. The serial was widely appreciated for its purpose of portraying the prostitution within the story. The serial touched on some issues which are not commonly discussed within the society. The serial featured Mekail Zulfiqar as the lead actor which also contributed to its recognition. The serial implicated the old cultural and traditional patriarchal society. The serial telecasted Maya Ali and Hamza Ali Abbasi as the lead actors. The apparent story of the serial was exceptional appreciated but very few reached to the just of the serial where the writer explicitly tried to implicate how in the Pakistani society women are given with the least importance and considered as the burden on the husband. The true just of the serial was even more thoughtful than the apparent one. The above-mentioned Pakistani patriarchal serials explicitly reflect the society, cultures, and traditions. However, if you are excited about them then you should definitely watch these dramas using Snaptube. 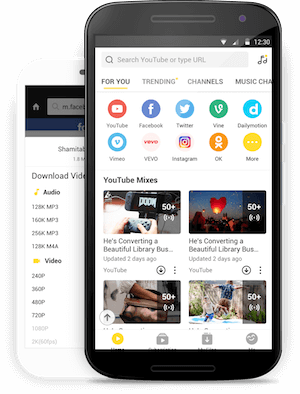 The application enables you to browse your respective songs and serial which could be watched in the best and HD quality. You can also save your songs within the application which could be accessed later. Moreover, the beautiful interface of the application makes it more user-friendly and easy to search more features and options within the applications. The story of a girl who belonged to a lower class family but could write some amazing and great love stories and how she made her career as the digest writer. The hurdles from which she had to go through was truly difficult and shown how in Pakistan the women are given the least chance to express their talent and showcase their passion for writing the love stories. The serial was released in 2016 with the idea to replicate how the word permission has now been only dedicated to the women. Like how they now need to take the permission for every single thing they would like to do. The name itself reflects the permission, the message behind the serial made the man understand the real meaning of permission. This one is an ongoing Pakistani serial which implicates the life of a married woman who was forced to give birth to a son. The constant pressure from her in-laws made her weak and tired of the life. The serial is explicitly replicating the true image of the society where women are explicitly forced to give birth to a son. The serial is an ongoing Pakistani serial which has shown the sexual abuse of an innocent girl. The abuse which has been incurred by her own uncle made her even weaker and helpless. The idea of sexual harassment within the home was the reason for the serial to be widely watched within and outside of the country. The serial is worth watching because of its beautiful songs and perfect direction. Another major reason for watching this serial is because of the aspect of the man dominance which has been shown in this serial. The serial implicates the real story of the Pakistani society where men are dominant and are shown as even more powerful.